Takashi Gabe Anderson is a visual artist, born 1970 in Toronto. He is a 4th generation Japanese- Canadian artist. His mother is Ayako Ellen Anderson nee Yamasaki. She was a set designer in the theatre, an actress, and a social activist as well as the founder of CSAC Creative Spirit Art Centre. Gabe’s biological father was graphic designer, Robert Burns. Gabe was raised by his mother Ellen and her husband, Robert J. Anderson, who was an artist and founder of Visual Arts Ontario. Gabe lives with cerebral palsy, seizures and developmental disabilities. 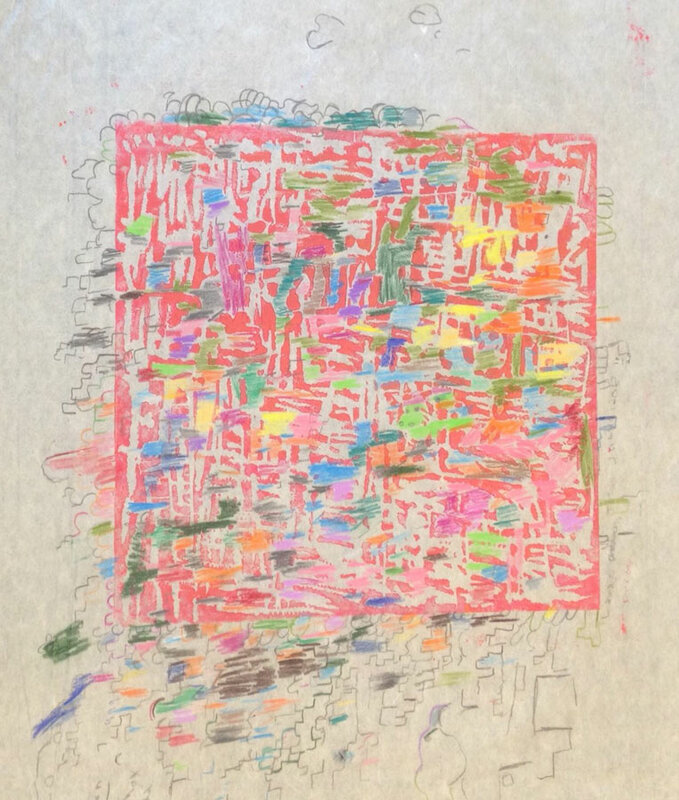 Gabe’s art work has been exhibited in Toronto, Canada, Washington D.C., Tokyo, Osaka, Yokohama, and Kanazawa Japan; Hong Kong, China. His works include drawings on paper and lino prints. Some of his prints are done on Washi, Japanese, hand-made papers. Most of Gabe’s exhibitions have been at the CSAC Creative Spirit Art Centre a public art gallery and studio. 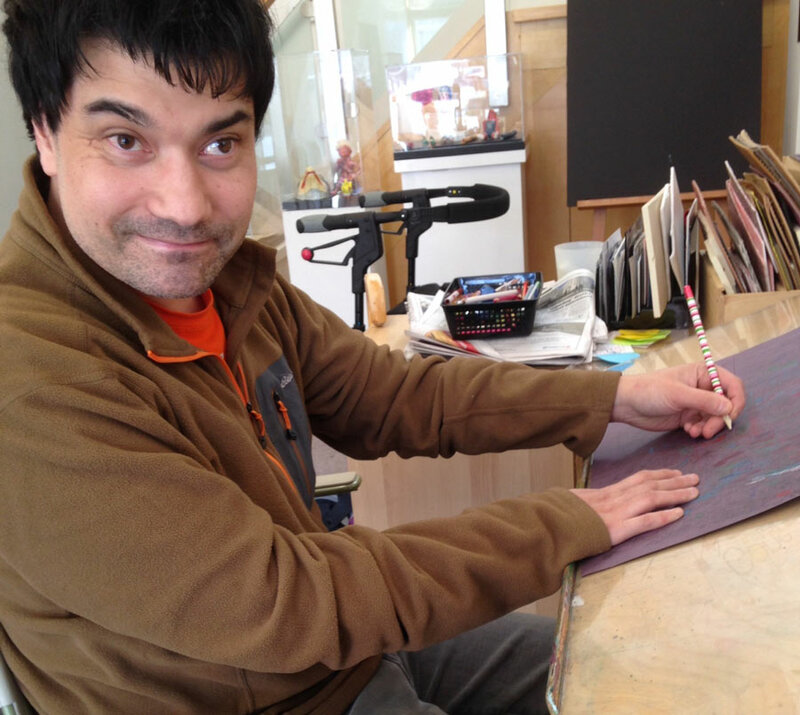 CSAC started in 1992 to accommodate Gabe and artists with disabilities who, like him; require a supportive studio to make art and a place to exhibit and sell art. 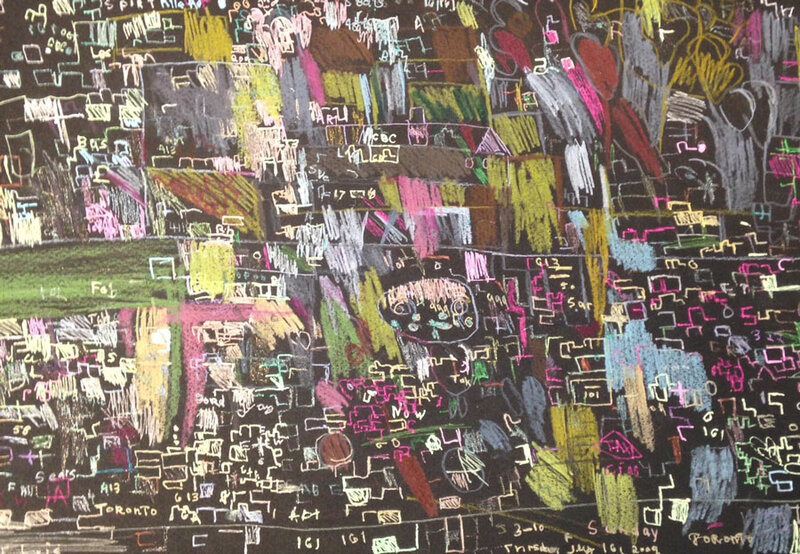 The genre of art is called, Art Brut or Outsider Art.